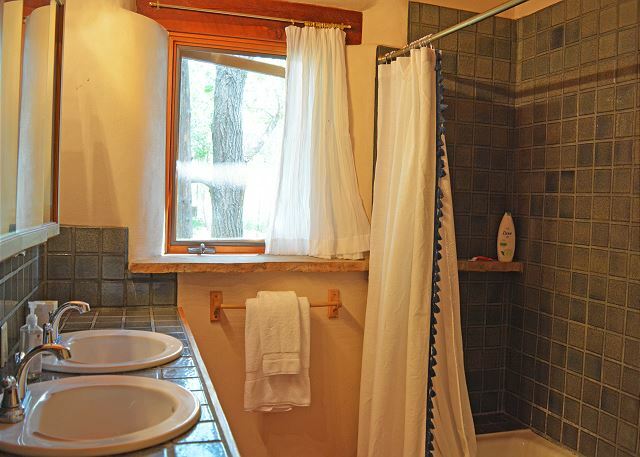 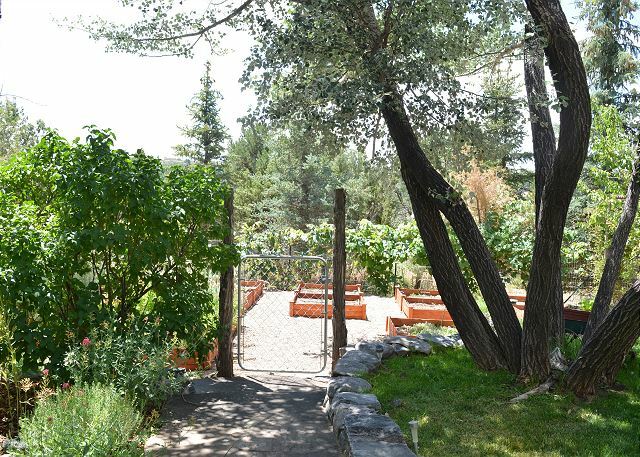 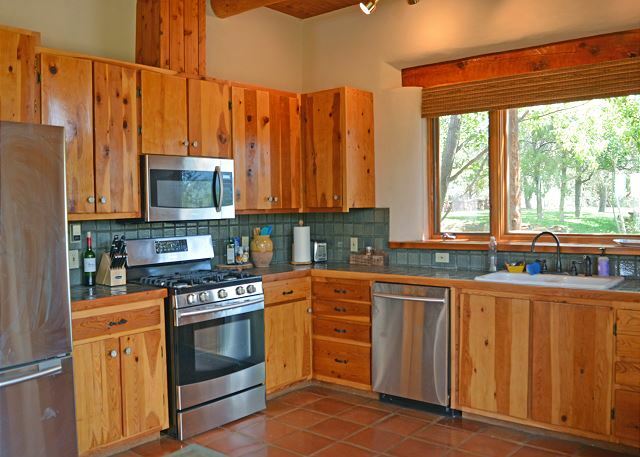 3 bedroom/ 2 bathroom (Main and Guest House) beautiful view of Taos Mountain Hot tub Great Sunrise Mountain Views peaceful and serene Main House has 2 bedrooms with 1 bath and guest house has 1 bedroom 1 bath. 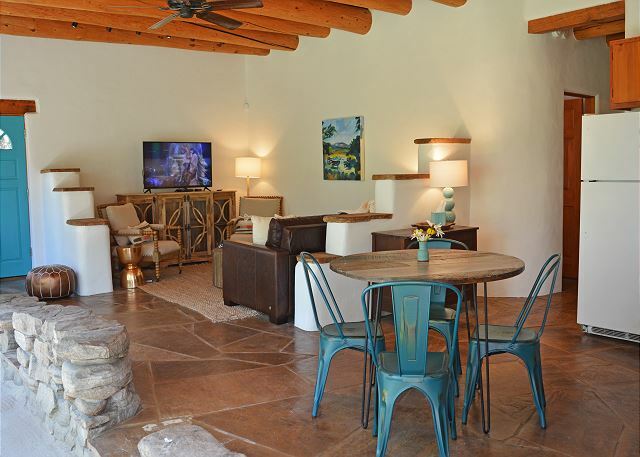 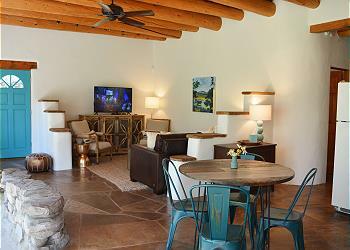 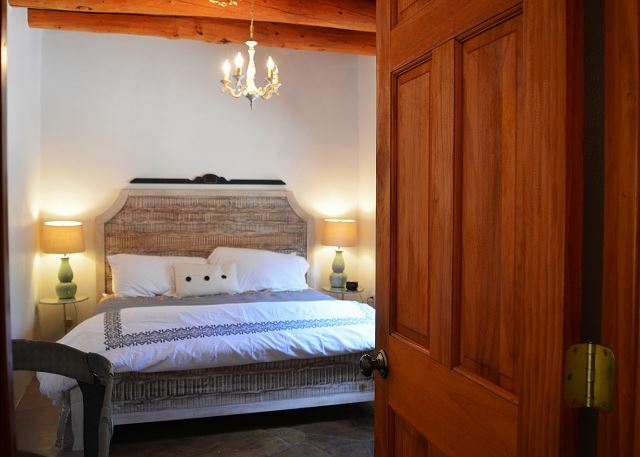 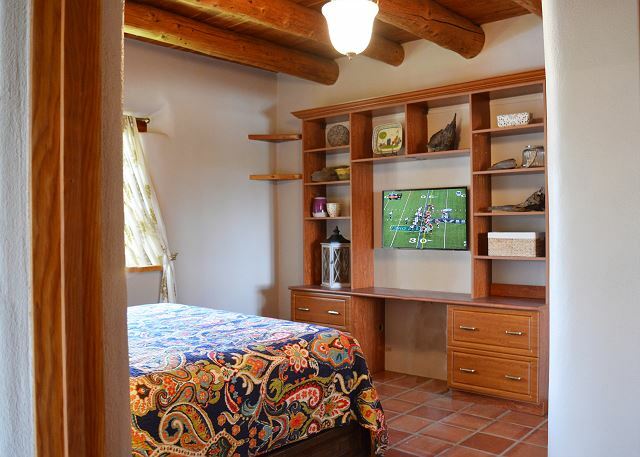 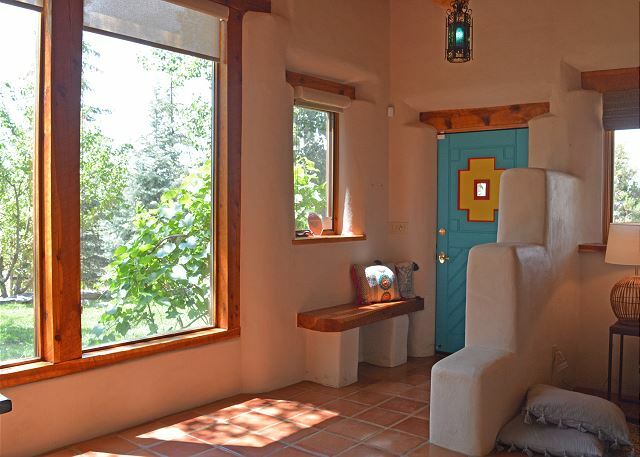 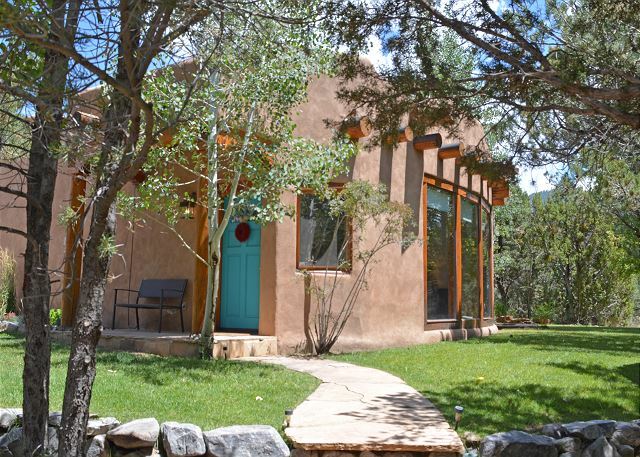 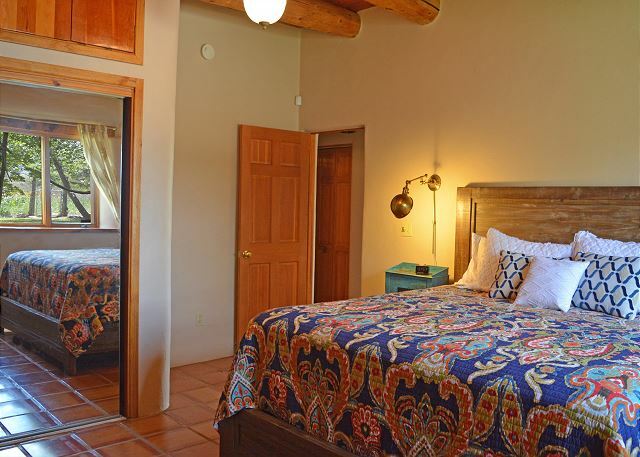 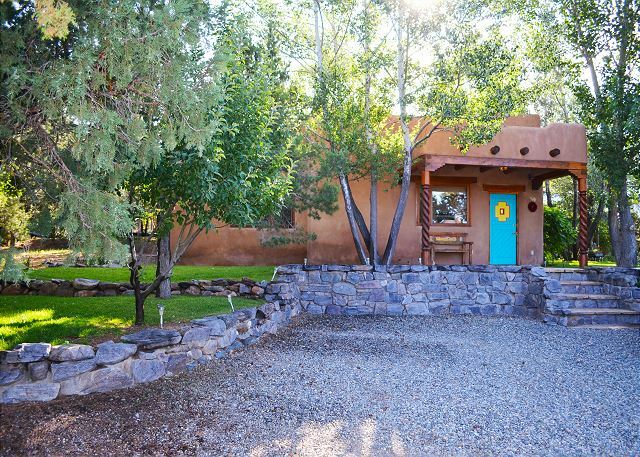 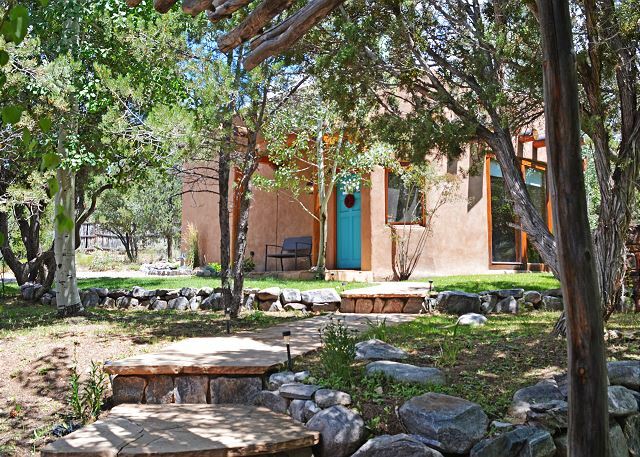 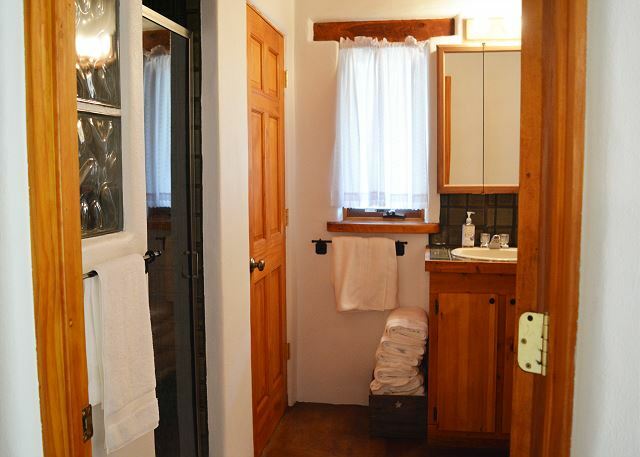 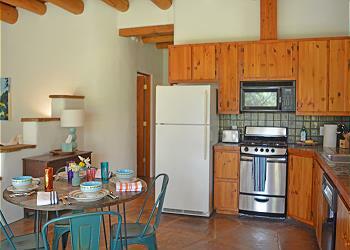 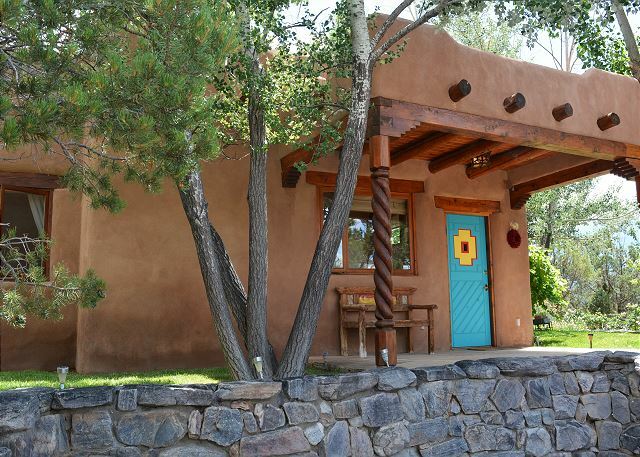 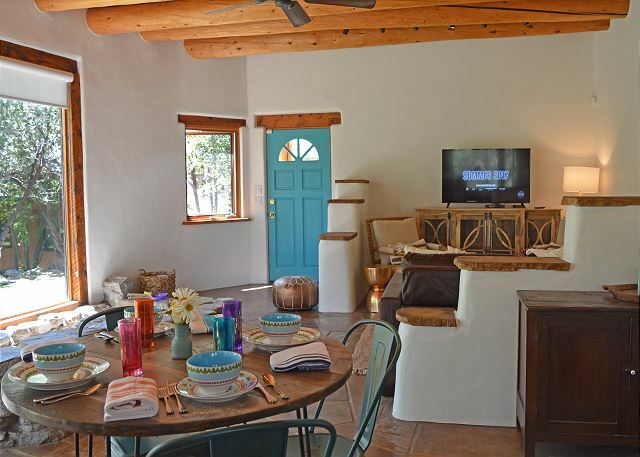 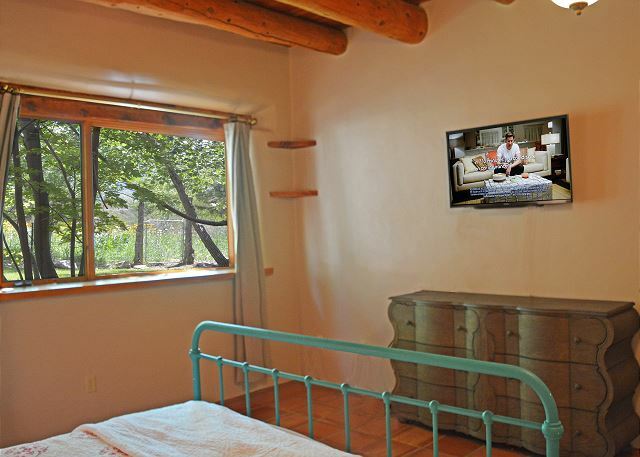 9 Miles from Taos Ski Valley and 10 Miles the Town of Taos Pinon Paradise Compound has a 2 bedroom / 1 Bath Main House and a 1 Bedroom / 1 Bath Guest House each with their own hot tub. 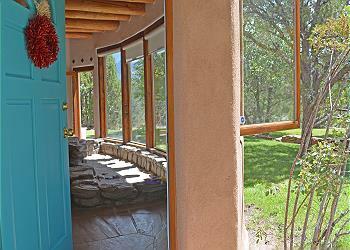 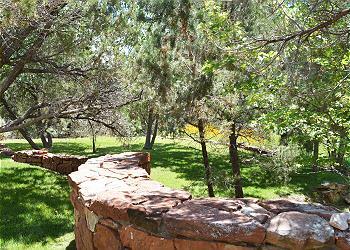 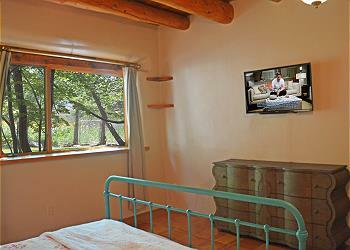 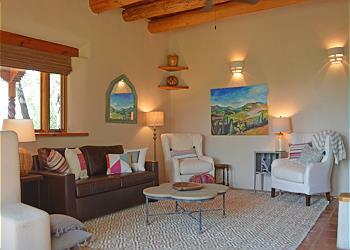 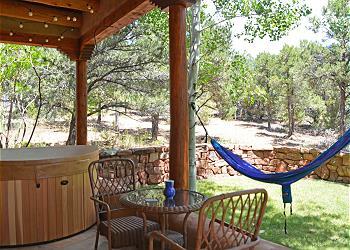 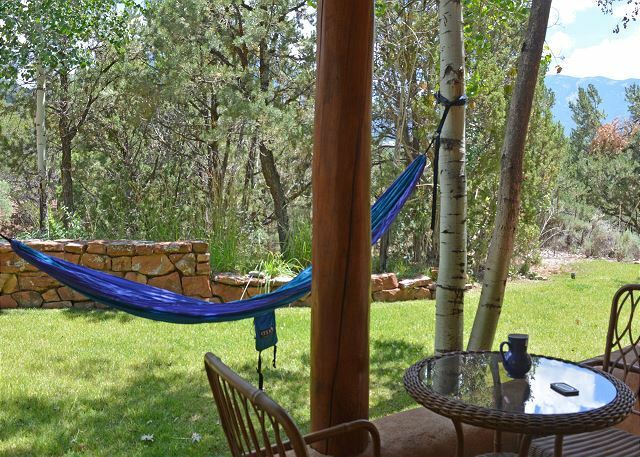 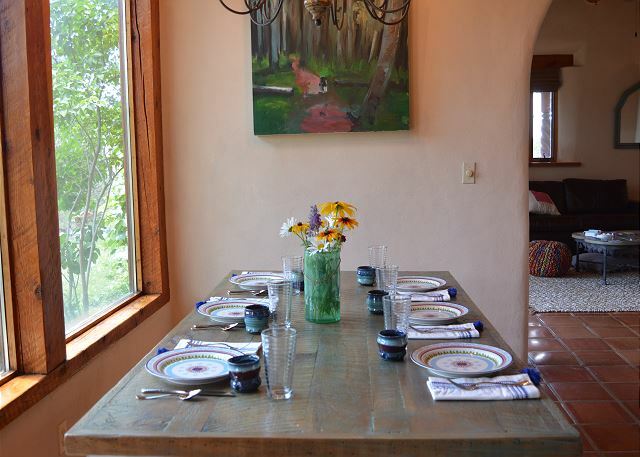 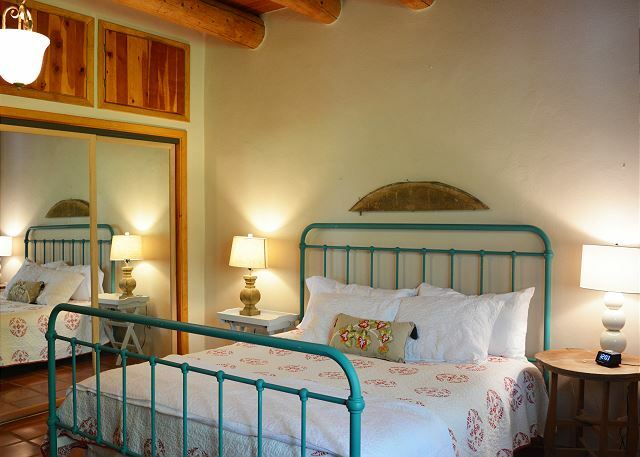 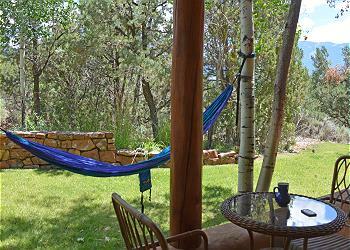 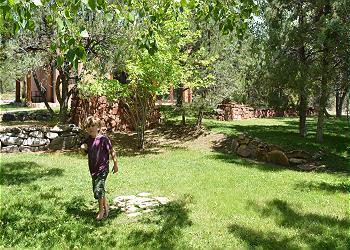 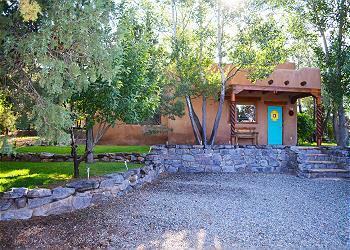 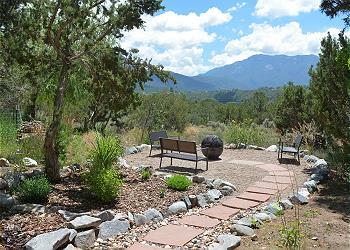 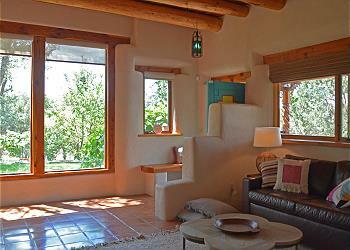 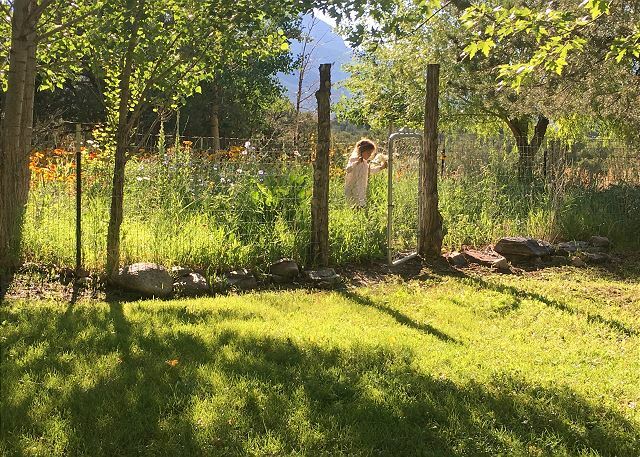 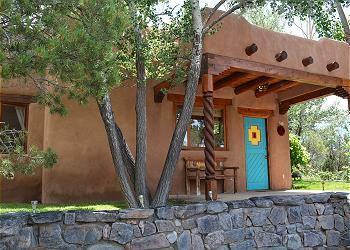 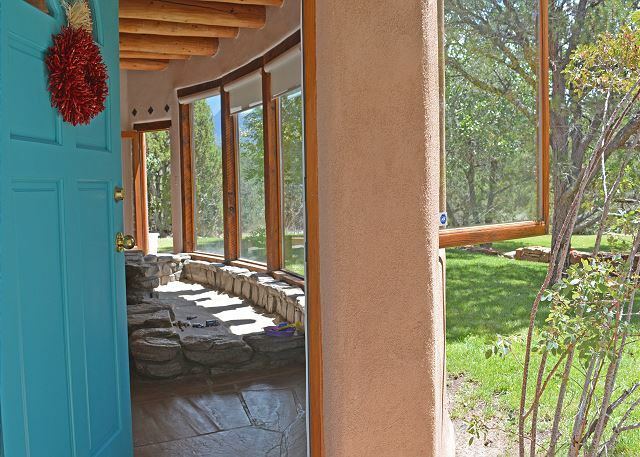 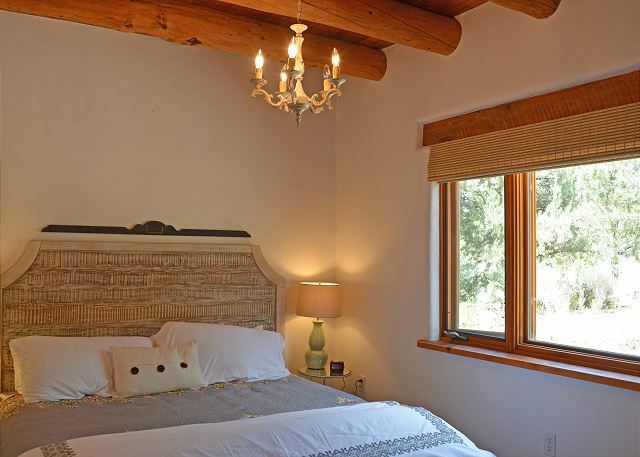 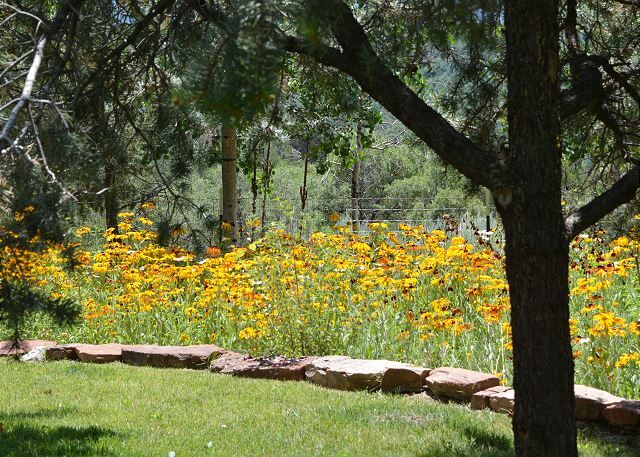 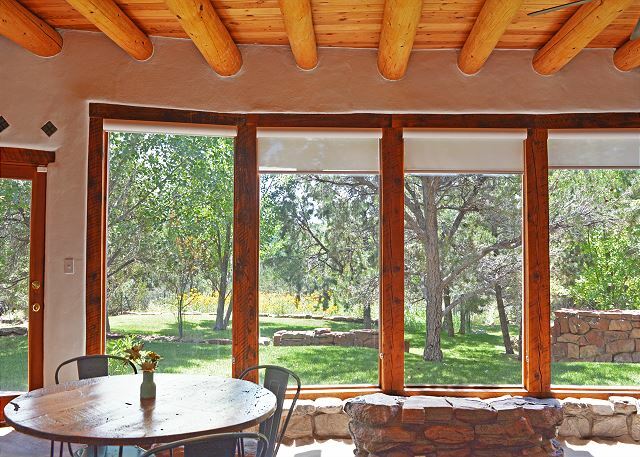 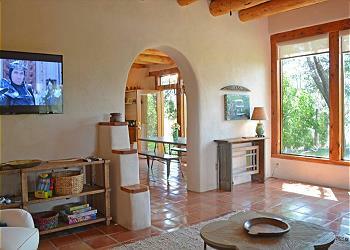 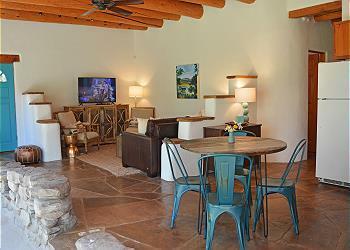 This is a beautiful and special place with a view of the sacred Taos Mountain. 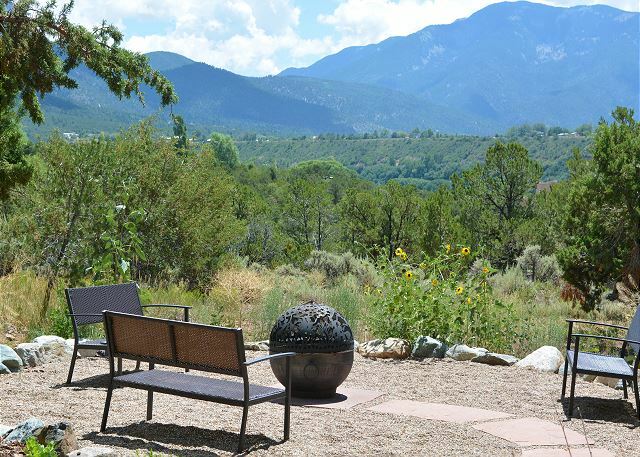 Watching the sunrise over the mountains is a truly unique experience. 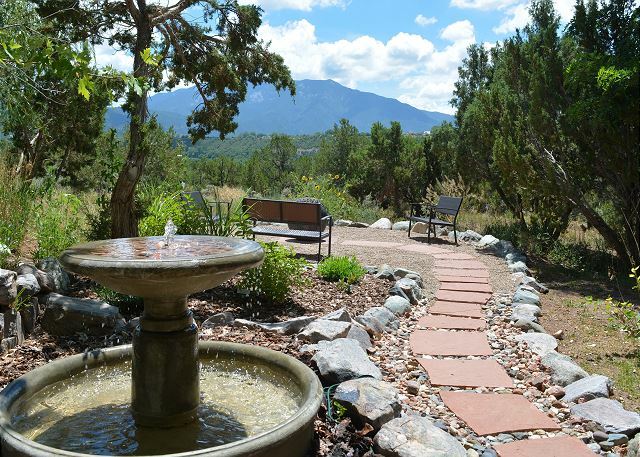 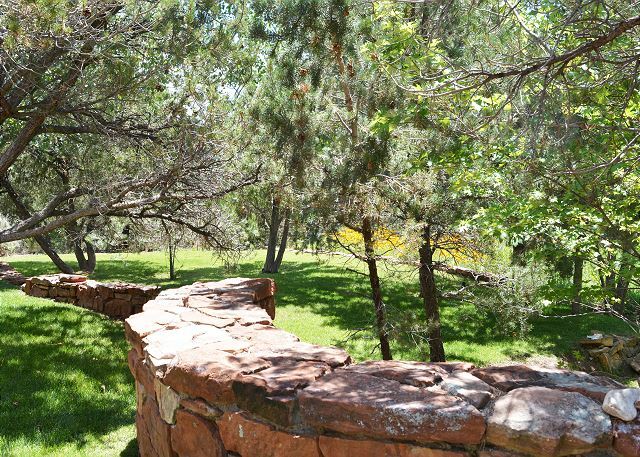 The grounds invite peace and serenity, and are a perfect setting for a restorative vacation. 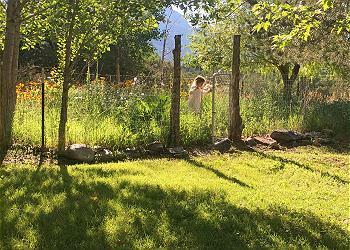 The wildflower garden blooms from late June through August, and guests are welcome to cut and enjoy. Seasonally, there are vegetables and herbs available to use and enjoy. 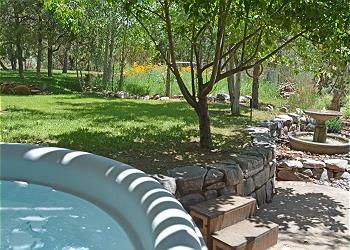 If you are lucky enough to be there in September and early October, the grapevine bears delicious fruit!